Thanks to Defiant Screen Entertainment here is your chance to Win one of 5 x The Last Witness on DVD. In post-war England, ambitious journalist Stephen Underwood risks love, career and ultimately his life, to uncover the harrowing truth behind one of the greatest crimes of the Second World War. 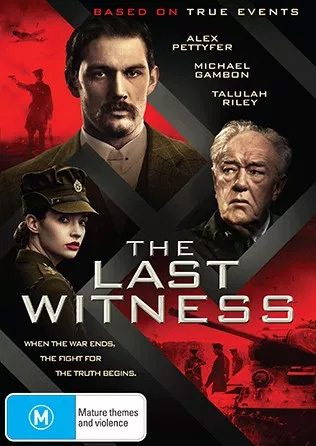 His investigation leads him into a dangerous, multi-layered conspiracy concerning the execution of 22,000 Polish military and civilians, and the British Government's cover up of one of Stalin's most notorious crimes. * Q1: What is the name of the chef?